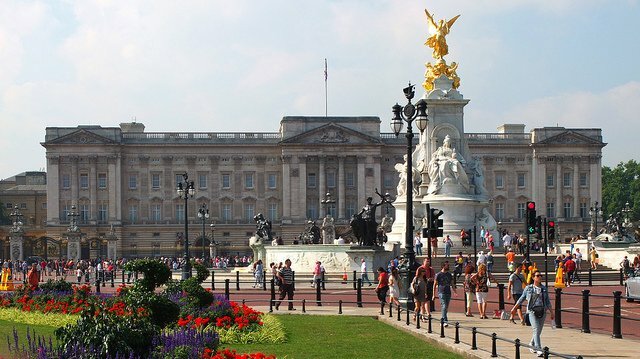 The Buckingham Palace neighbourhood is central to any visit to London. 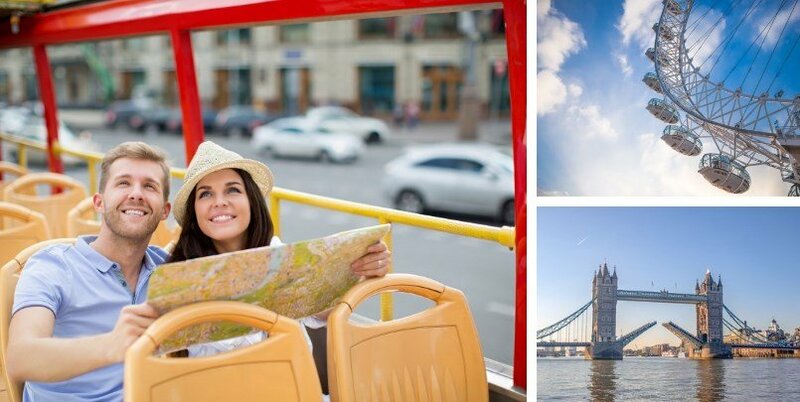 Spend a day walking by some of the highlights of the city including Buckingham Palace, the Houses of Parliament, Big Ben, Westminster Abbey and more. Starting the day at Trafalgar Square, you’ll walk through some of the most amazing parts of London including The Mall, St James’s Park and Westminster. We suggest starting your day in Trafalgar Square. 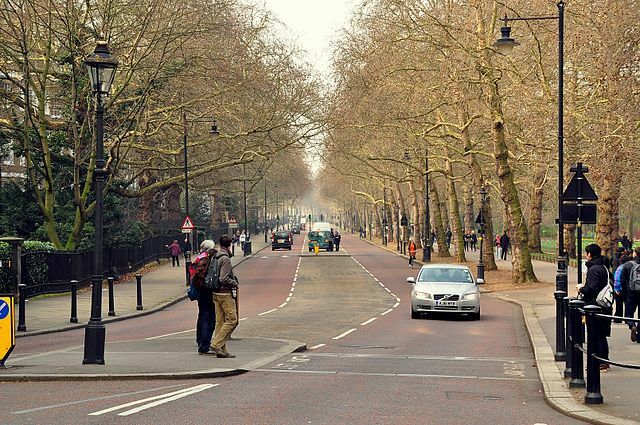 This is a very central location and is really easy to get to by public transport, wherever you are staying in London. Charing Cross Tube Station (Northern and Bakerloo lines) has an exit directly onto the square. And nearby are the tube stations of Embankment (District & Circle lines) and Leicester Square (Piccadilly). You’ve arrived at Trafalgar Square….welcome! You’ll immediately see Nelson’s Column (picture above) staring right at you. Nelson was a legendary Admiral in the British Navy who through exemplary leadership and cunning tactics led Britain to some of her most famous victories against Napolean. 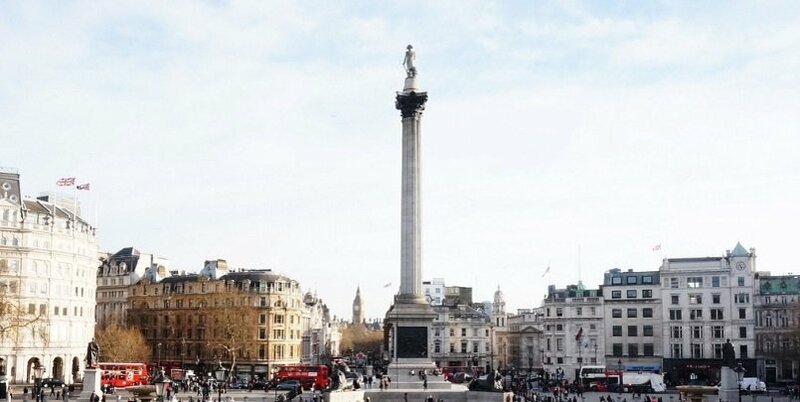 Nelson met his fate at the Battle of Trafalgar and in his honour, Trafalgar Square was named after him! Admiralty Arch, marking the beginning of the Buckingham Palace Neighbourhood. Admiralty Arch was built by King Edward VII for his mother and over the years has been used by various government offices. You’ll see that the middle arch is closed off by a gate, and that’s because only the British Royal Family are allowed to pass through it! So walk through the left or right arch and you’ll have entered into the royal Buckingham Palace Neighbourhood of London! Now on the other side of Admiralty Arch, you’ll be walking along The Mall. 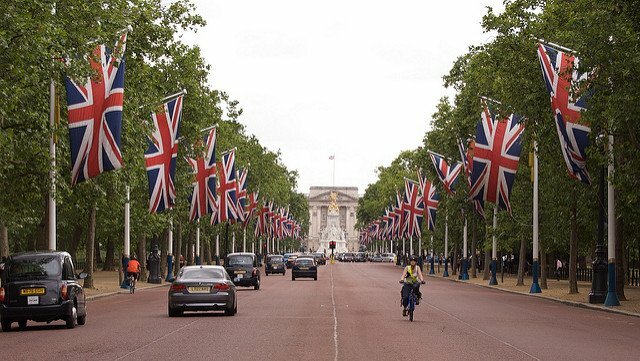 This 1km royal boulevard stretches from Trafalgar Square all the way to Buckingham Palace and is used for all kinds of state ceremonies. Back in 2011, hundreds of thousands of well-wishers lined The Mall to watch the wedding of Prince William and Kate Middleton. And from time to time you’ll see foreign dignitaries being taken to the gates of the Palace by horse drawn carriage…and whilst we can’t promise you such a grand entrance, the red tarmac and tall trees will make this all feel pretty magical! If you are facing Buckingham Palace, walk towards the left onto Spur Road and then take another left onto Birdcage Walk. We’re now heading towards the second part of the Buckingham Palace neighborhood of London known as Westminster – which is where you’ll find Big Ben, the Houses of Parliament and Westminster Abbey. 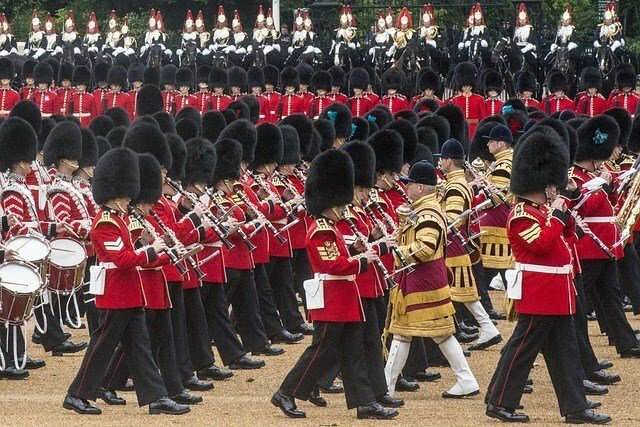 As you walk along Birdcage Walk, you’ll see the Guards Museum on your right. This is a British military museum which might be of interest if you’re a history buff. And on your left you’ll see St James’s Park. This is one of the London’s most beautiful green spaces, and the perfect place to stroll through. If it’s nice weather, why not take a picnic and have lunch in the park? The Churchill War Rooms are also located close to Birdcage Walk. These secret underground bunkers were used by Winston Churchill and the Cabinet during WWII. 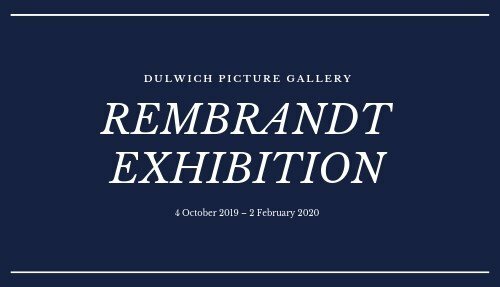 Getting there is simple – just make a left onto Horse Guards Road and the War Rooms are a little way up on the right, and this is a great place to visit with kids. Continue walking along Birdcage Walk, which soon turns into St George’s Street, and you’ll soon see staring straight ahead of you Big Ben and the Houses of Parliament (see above!). To the right of the Houses of Parliament is Westminster Abbey. This is one of the most impressive churches in England where Prince William and Kate Middleton got married in 2011. Inside the abbey are memorials to Churchill and Roosevelt and well as to famous English poets and writers like Shakespeare, Dickens and Kipling. 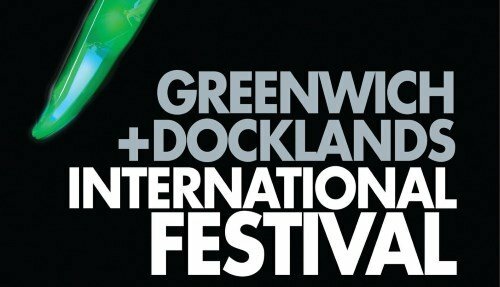 Tickets costs £20 per adult, £9 per child. 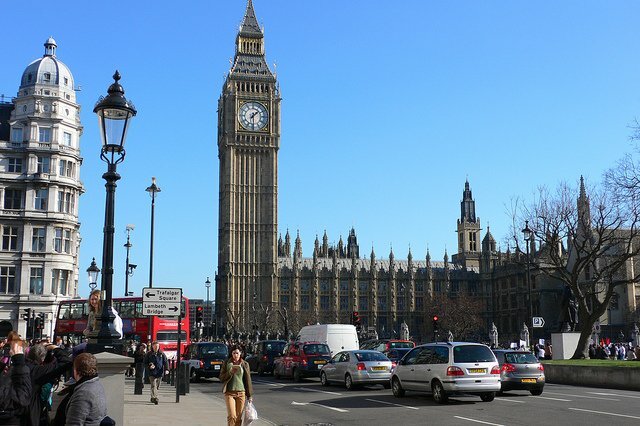 If you’re standing facing Big Ben, take a left onto Whitehall Road. Now on the edge of the Buckingham Palace neighbourhood, you’ll pass the Cenotaph, Britain’s War Memorial, and will soon begin to notice lots of tourists crowding around a gate on your left. 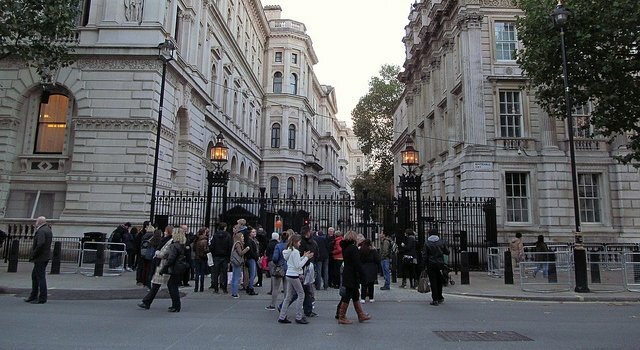 Those gates are the entrance to Downing Street (see picture above! ), where the Prime Minister lives! You’re not actually allowed to walk along Downing Street, but its the perfect place for a selfie! Continue along Whitehall and soon you’ll see another large crowd of tourists, this time outside the entrance to the Horse Guards Parade. Make sure to snap a selfie next to the soldier standing guard (picture above) and you can actually walk into the courtyard. 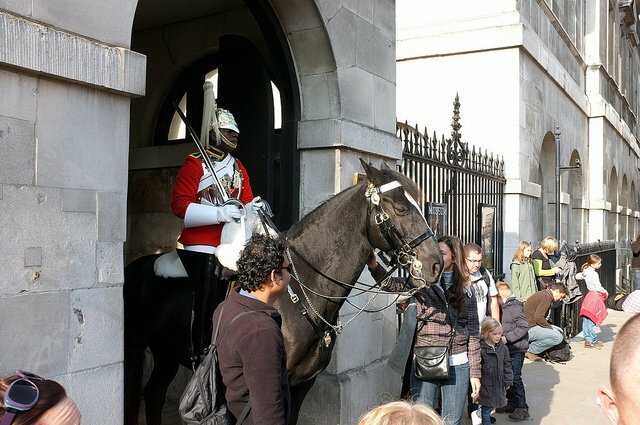 Inside the complex is the Household Cavalry Museum which goes behind the scenes looking at the Queen’s horse-mounted bodyguards! By this stage in your Buckingham Palace Neighbourhood walk, you’ll probably be feeling pretty tired from all that sightseeing! 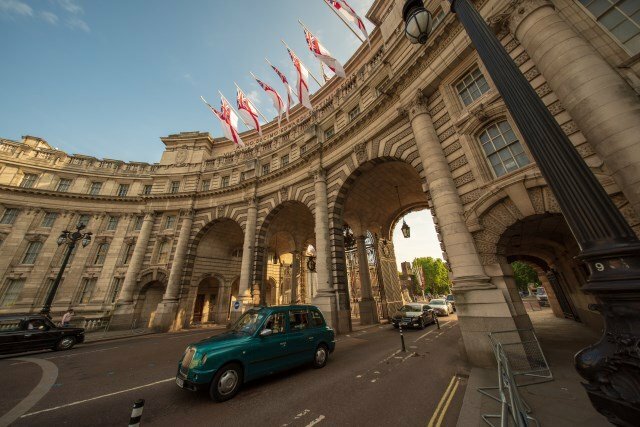 Why not stop for afternoon tea or coffee at one of the pubs or cafes at the end of Whitehall? We recommend The Clarence, a traditional English pub serving great food and drink. At the end of Whitehall, you’ll find yourself right where you started…Trafalgar Square! 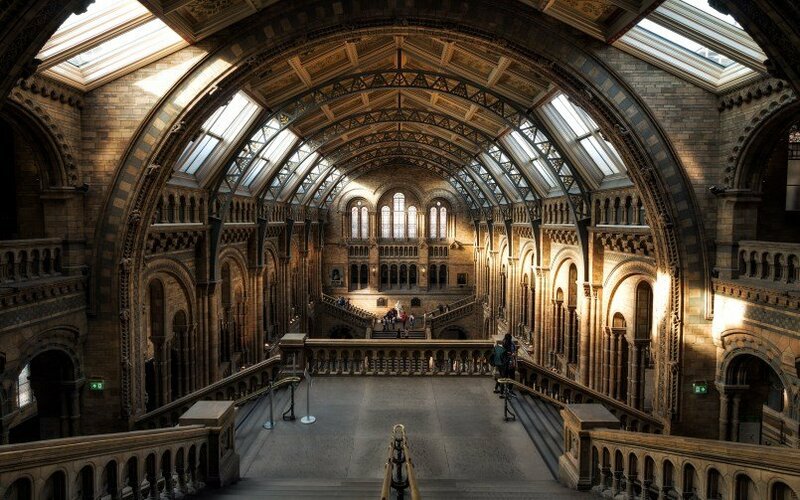 End the day with a visit to the National Gallery (containing some of the world’s greatest paintings) or the National Portrait Gallery (the biggest collection of portraits in the world). Both museums offer free entrance and are located in Trafalgar Square! The Buckingham Palace neighbourhood of London is not great to find food and drink. In fact, there are really almost no places restaurants or cafes in the area. We suggest bringing food and drink with you, and having a picnic in St James’s Park. You might have noticed that this day trip itinerary involves a lot of walking! That’s because the Buckingham Palace neighbourhood has limited bus routes around the Palace, meaning its actually quicker to walk than take public transport. If you don’t fancy doing all that walking, then you might be better off starting the day at the Westminster Tube Station (by the Houses of Parliament, Big Ben & Westminster Abbey) and then take a taxi to Buckingham Palace.